Want to go through 2019 with a smile on your face? Start with a trip to your cosmetic dentist in North Raleigh. Popular treatment options include teeth whitening, dental veneers, and direct bonding. Your dentist will work with you to choose just the right solution for your needs. Your cosmetic dentist performs an oral exam, followed by a cleaning to remove plaque and tartar. A dental professional applies a medical-grade cleaning solution to your teeth while you relax. After about 20 minutes, he or she will remove it and check the results. Typically, 3-4 treatments are sufficient to create a beautiful whitening effect. In-office teeth whitening usually takes less than two hours. Yet the benefits can last a year or longer. This is a great way to achieve your smile enhancement goals for a minimum investment of time and money. 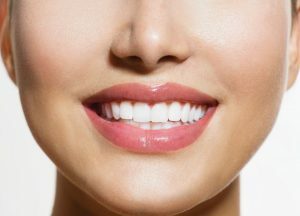 Dental veneers are micro-thin layers of medical-grade ceramic that bond directly to the front of your teeth. Each set of veneers is custom crafted for the patient using modern digital imaging technology to achieve a precise fit. Because the restoration covers up existing imperfections, the result is a total smile transformation, not simply an enhancement. Veneer treatment occurs in two steps. During your first visit, your dentist will apply a gentle etching solution to your teeth. He or she will also perform a series of measurements that the lab will use to create the restoration itself. A few days later you will return to your dentist to have the veneers fitted. Once they’re in place, a special bonding agent will complete the process. After that, you’ll be able to show off your new smile to the world. Maintaining veneers is easy. Your dentist will probably recommend that you use a non-abrasive brand of toothpaste going forward and a soft bristle toothbrush. Veneers typically last 10 years or longer. One of the greatest challenges for cosmetic dentistry is correcting smaller imperfections like chips, minor cracks, and general unevenness. Direct bonding addresses these problems by using tiny amounts of aesthetic compound applied directly to the teeth. The benefits include improved smile symmetry and a more attractive appearance overall. Sometimes achieving your smile enhancement goals takes a little extra care, like when the tooth itself has suffered decay or physical damage. If that sounds like you, then you may benefit from restorative treatments such as crowns, bridges, overlays, dentures, or implants. Smile enhancement is a great way to make 2019 the best year of your life. Talk to your dentist about your cosmetic and restorative treatment options during your upcoming appointment. We wish you all the best throughout the months and years to come. Dr. Philip A. Lisk earned his DDS degree from the University of North Carolina School of Dentistry in Chapel Hill. He is a proud member of the American Dental Association and a skilled general, cosmetic, and restorative dentist. You can reach his office online or by calling (919) 870-6892.